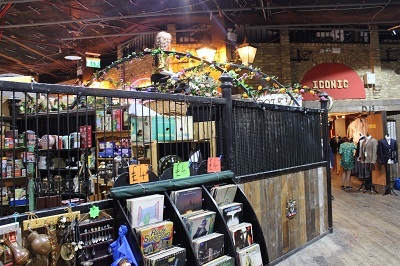 The Camden markets are a number of markets in Camden Town centred around Camden Lock, a wide range of items are sold including crafts, clothing, bric-a-brac and fast food. 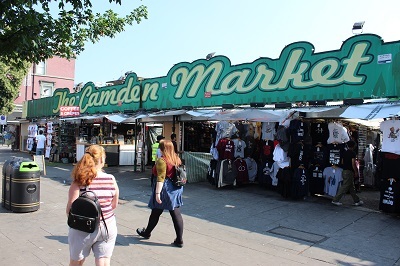 Camden Market is one of London’s most popular visitor attraction attracting around 100,000 people each weekend. One of the original markets in Camden Town was operated in Inverness Street at the beginning of the 20th century which provided basic foodstuffs for the local population. In the 1970s, a small weekly crafts market began to operate every Sunday near Camden Lock. This market developed into a large complex of markets in a mixture of stalls and fixed premises. These markets originally operated on Sundays only, which continues to be the main trading day. Many of the traders open on Saturdays to make it a weekend market, a small number of traders in fixed premises do operate throughout the week. Camden Lock Market is situated next to the Regent’s Canal on a site formerly occupied by warehouses connected with the canal. By the 1970s, the small crafts market became a well-known local attraction that attracted shoppers to the location. Eventually, the range of goods widened with stalls selling books, new and second-hand clothing, and jewellery, in recent years it has attracted a wide range of street food stalls. 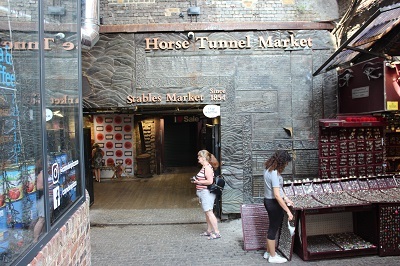 The Stables Market is located in the historic former stables and a Grade II listed horse hospital, many of the stalls and shops are located in large arches within railway viaducts. Stables Market has a number of clothes stalls, furniture and antiques. 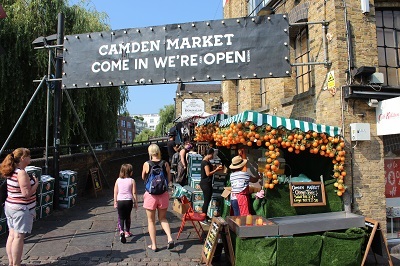 With ‘The Camden Market’ sign over the Buck Street Market it is often considered the heart of the market, this outdoor market focusing almost exclusively on clothes. The oldest street market in Camden still continues to have traders selling their wares but food and vegetables stalls have almost disappeared. The Camden markets attract large numbers of young people attracted by clothing and art pieces for alternative sub-cultures. The market has attracted independent designers and dealers specialising in unusual items especially fashion and music items. 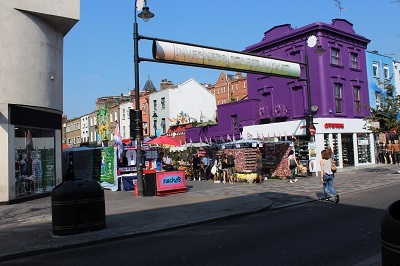 The late Amy Winehouse made her name in Camden in the various music establishments, to honour this connection, the market has a statue of the singer. By londonvisitors2014 in Markets of London on June 1, 2016 .